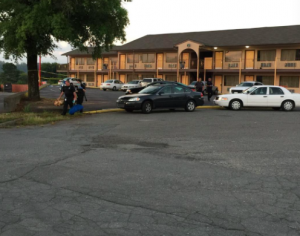 Darrell Ray Wolfe Killed Outside Winston-Salem Hotel; Fatal Security Lapse? Did a security failure contribute to this tragic Winston-Salem hotel assault and are justice and compensation available to Mr. Wolfe’s family? 50-year-old Darrell Ray Wolfe was reportedly killed in a violent attack “outside Traveler’s Inn at 5906 University Parkway shortly after 1 a.m. Friday,” September 7, 2018, according to FOX 8. Police told The Winston-Salem Journal responding officers found Mr. Wolfe “in the parking area.” Tragically, he succumbed to fatal injuries at the scene. Did negligent security contribute to this Winston-Salem hotel assault? We represent individuals and families who have suffered a tragic loss or injury as a consequence of negligent property security. Read Our Legal Take below to find out if Mr. Wolfe’s family may have a legal avenue for justice and claims for substantial compensation in North Carolina, or call now for a free consultation with our legal team: 888.842.1616. What hotel parking lot security measures, such as guarded entry, surveillance cameras, bright lighting, and security patrols, were in place to deter crime and protect Mr. Wolfe at the time of the fatal assault? Generally, property owners are required to protect all those legally on the premises from any foreseeable harm. Should the facts of this matter reveal that the hotel owner or management company failed to provide adequate security to protect those on its premises, the family of Darrell Ray Wolfe may seek justice and elect to pursue legal claims for their loss. We’ve Recovered Millions for Victims of Hotel Security Negligence…Contact us Now for a Free Consultation.